Jerusalem sparkles with lights, Christmas trees and a festive atmosphere in and around the Old City. 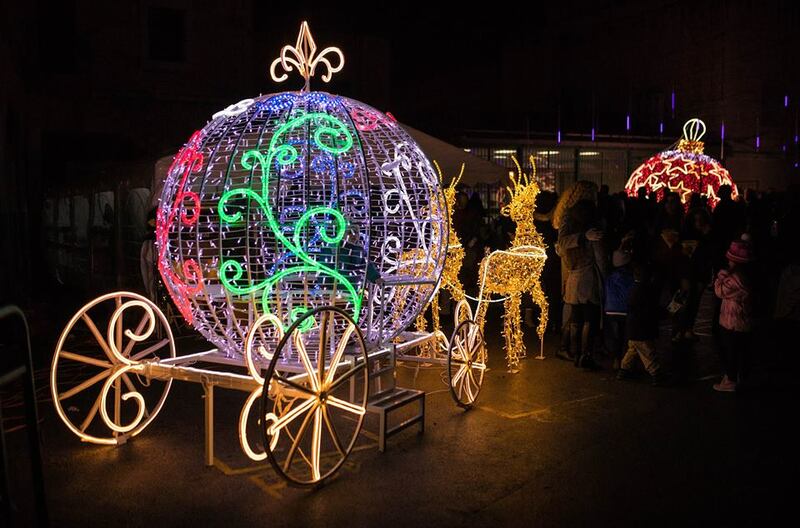 A huge, glittering, festive and colorful Jerusalem Christmas Market will take place at the New Gate (Collège des Frères), Muristan and Nablus Road. Towards the end of the year, Jerusalem sparkles with lights, Christmas trees and a festive atmosphere in and around the Old City. The picturesque alleyways of the Christian Quarter from the New Gate to the Muristan will be decorated with special holiday decorations and fireworks for the opening of the Market and Sylvester, a huge Christmas tree at the New Gate, Santa Claus / Papa Noel will open his house. There will be gift stands, holiday delicacies and shows for the whole family. Christmas Market 2018 is held at the initiative of Lights Up Ltd. and the Bozoor Elhayat Lapdal Association in cooperation with the merchants of East Jerusalem. Saturday- Tuesday, December 15-18, 2018, 4-10 pm. Entrance is free.